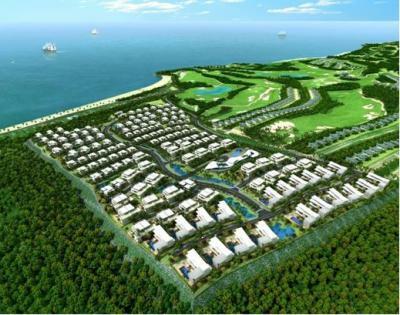 60 of the 172 Royal Hill Villas in Phan Thiet will be investors, Rang Dong Group, offer a period of the project on 5 / 1. Royal Hill in Sea Links City is located in Mui Ne, Phan Thiet. 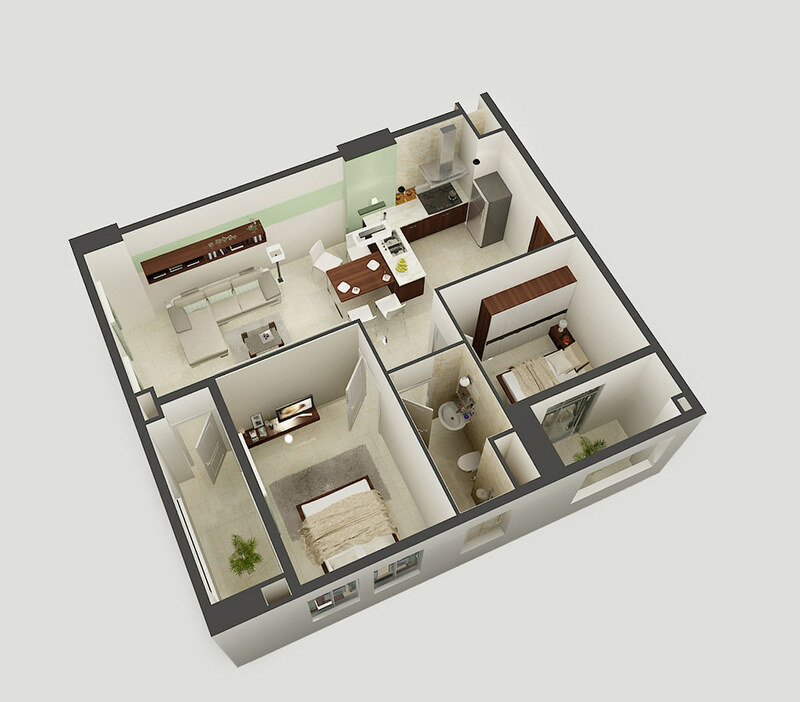 The Project with 12.7 ha scale and density of construction 22%. The beautiful villas, located on the highest hill are 70 m above sea level. The idea of creating an advanced paradise resorts, separately and in harmony with an atmosphere of healing waters, the Royal Hill offers a customer not only the beauty of the sea and green spaces of lawn golf, but also the private space needed. Royal Hill is entitled to infrastructure in the City Sea Links golf & country club, restaurants, 5 star hotel and a 1 kilometer stretch of private beach. 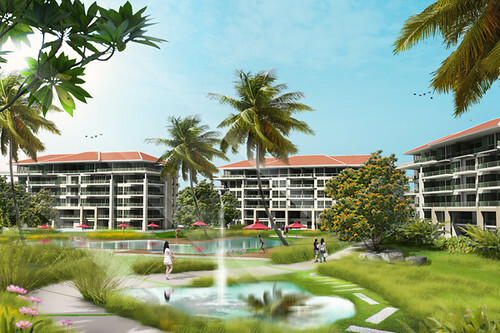 The project is adjacent to the golf course, and has a panoramic vision and Sea Links Mui Ne bay. The villas have a built-up area of 240 m2 to 500 m2 with open design, which makes the distinct architecture of a private pool, garden or around the upper flexible open terrace. Customers who bought the land will be offered villa designs unique modern style, compliment with harmonious nature. With total area nearly 3ha located in Binh Trung Dong Ward, District 2, Ho Chi Minh City, far away from the highway Long Thanh – Vung Tau about 100m. 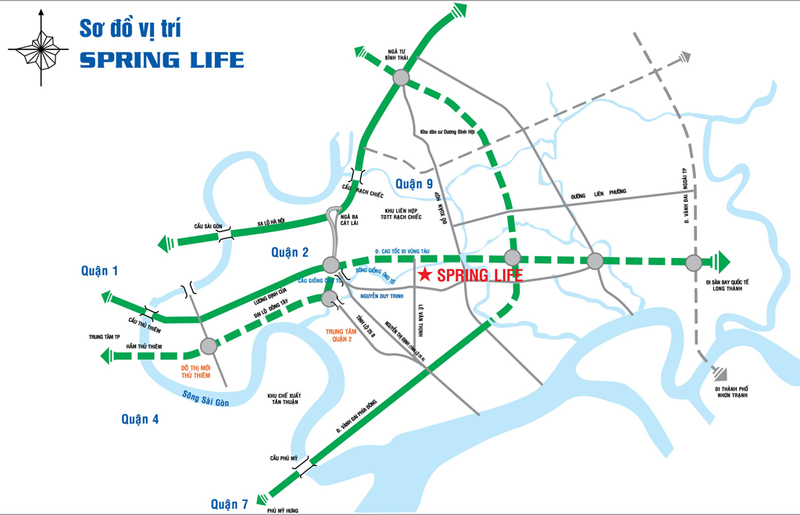 Where will be ideal place in the future, just 6km from the Ho Chi Minh City center along the Long Thanh – Vung Tau highway is formed, construction; far away from the Thu Thiem urban center about 3km and 8km to New Urban Center of District 7 towards the Phu My Bridge. Favorable external position, Spring Life is also designed with modern style, layout is arranged askew floor creates multicolored movement for project’s vertical. 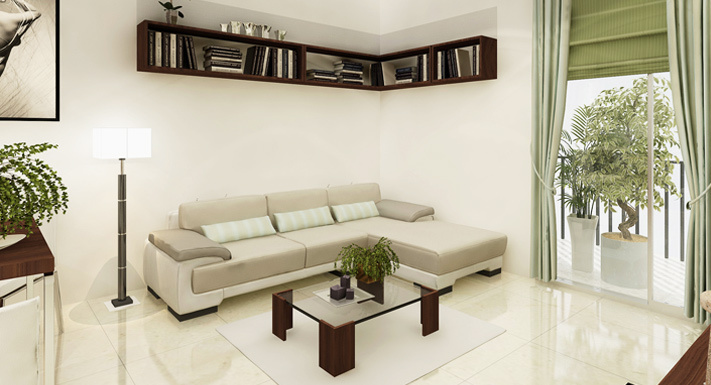 In addition to outstanding design, Spring Life Apartment project is full convergence standards of modern living, facilities with swimming pool, parking lot, shopping center, kindergarten. All mixed with natural landscapes peaceful and quiet mild Giong Ong To river. Here is worthy of applause for the achievement of your own. The project will be broken ground and opening showroom on March 23, 2010. 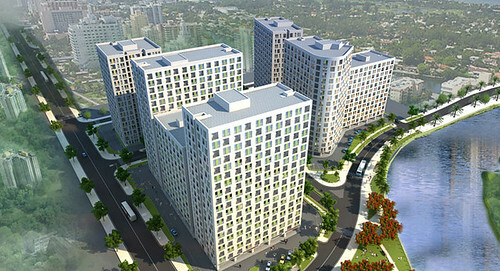 The Ministry of Construction submitted a project on “Master plan of Hanoi by 2030 and a vision to 2050” early March. 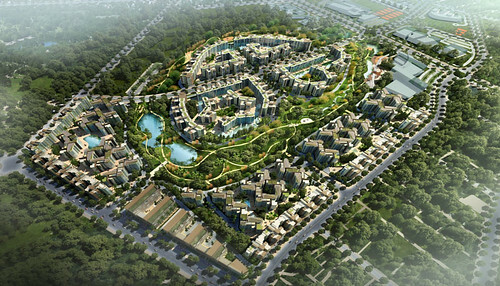 The project is aimed to develop Hanoi into a capital city of green space, civilisation and modernisation. On the sidelines of the government’s press conference on March, Deputy Minister of Construction Nguyen Dinh Toan said presented the project. 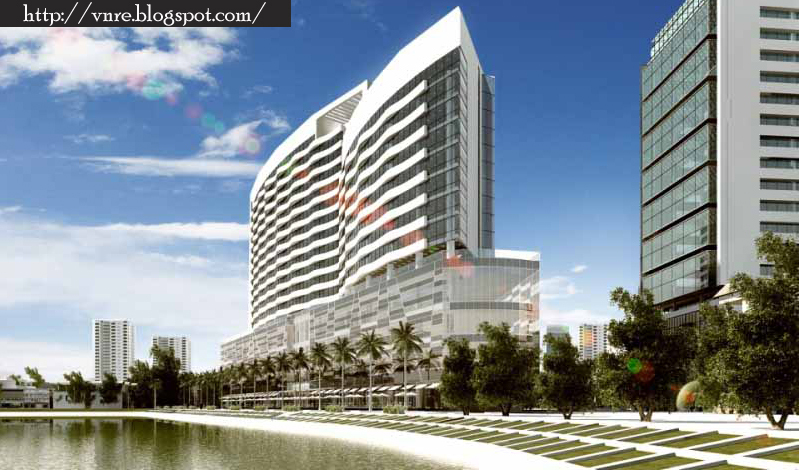 Toan said the project proposed suitable solutions to develop Hanoi on a total area of 3,300 square kilometres. The administrative centre of Hanoi from now to 2030 will be located at My Dinh, Hoa Lac and developed along West Lake-Ba Vi axis. In the 2030-2050, the municipal administrative centre will be moved to Ba Vi and the centre in My Dinh will be further expanded. 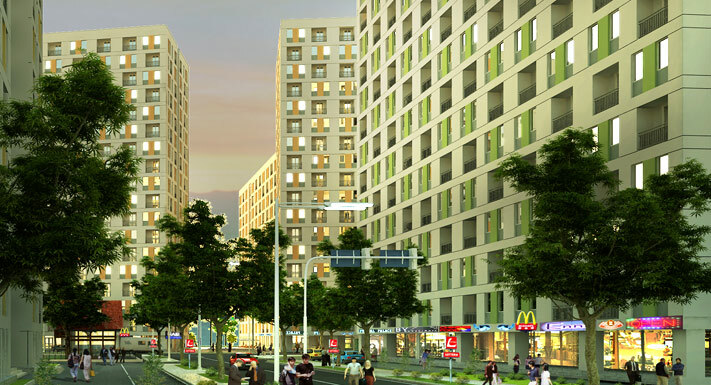 Urban structure will be changed with the development of core, satellite and ecological urban areas such as Hoa Lac, Xuan Mai, Quoc Oai, Phu Xuyen and Chuc Son. The city will also develop old urban areas in Son Tay, Soc Son, Dong Anh, Gia Lam and Me Linh. 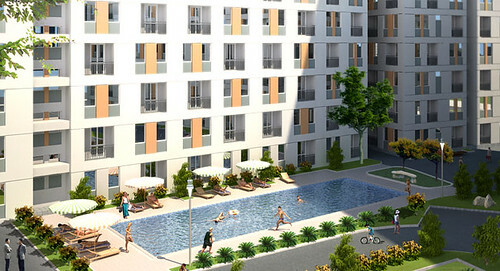 Among those, the construction of Hoa Lac urban area is the most feasible. The future urban area will receive a land fund for building an administrative centre. 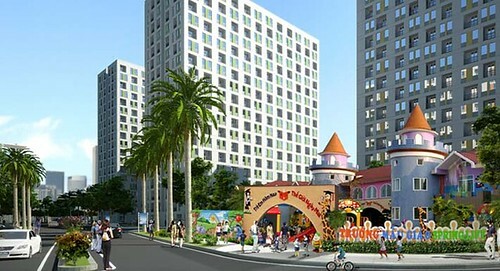 Soc Son, Long Bien and Gia Lam urban areas will be re-planned with green and water space. The city’s transport infrastructure system in the near future has been appropriately planned to ensure people’s business demand and remove the gap between Hanoi and the old province of Ha Tay. 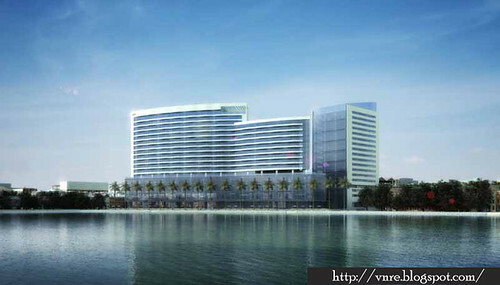 Construction on Lang-Hoa Lac will be completed this year, expected to boost the city’s socio-economic development. I think that Hanoi’s transport pressure not only depends on where to put the administrative centre but also other factors such as accommodation and jobs. The transport infrastructure system will be developed in the north and the south. The project plans to build a green corridor accounting for 68 per cent of the city’s natural area, to project important places like Ba Vi Mountain and Huong Tich and Soc Son regions. The corridor along Day, Tich and Ca Lo rivers aims to control development of nucleus and satellite urban areas. The green belt along the Nhue River will form a buffer zone to distinguish between the core historical urban area and the expanded part of nucleus urban areas on belt road IV. The city will not develop residential areas along the belt, instead of building villages preservation villages and public works. Regarding the green space, land for growing green trees in the city will increase by from 2-3 m2 per person to 10-15m2 per person. Big hospitals such as Bach Mai and Viet Duc will face overload if they are kept unchanged like presently, Therefore, the project proposes new locations for these hospitals named Viet Duc 2, Viet Duc 3 or Bach Mai 2 and Bach Mai 3. Universities will also be moved to suburban areas. 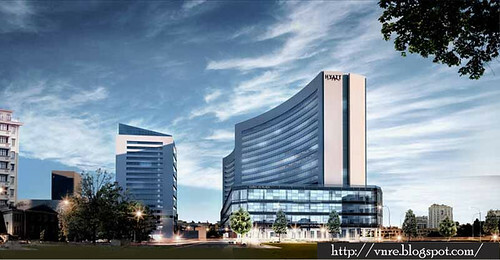 National University will be built on a site of 1,000 hectares in Hoa Lac. Many other universities and scientific centres will be located here. The city will also put some universities in Phu Xuyen, Soc Son and Gia Lam. Old universities will be considered for partial function change and narrowing their training scale. Hanoi and its surrounding areas now lack entertainment areas. Thus, the Ministry of Construction is instructing the city’s concerned agencies to allocate land for these areas. 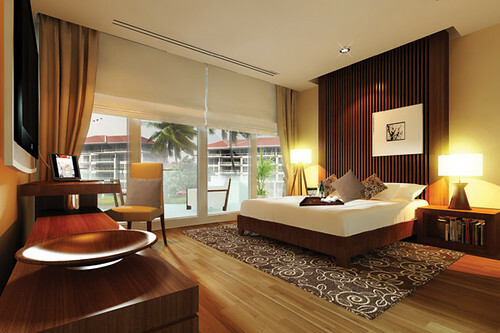 A luxurious paradise awaits you, one inspired by the mystical beauty of the ancient Cham culture. The Cham Condominiums beckon with its sophisticated allure and high-end amenities. Situated just 20 minutes from Da Nang City, The Cham is part of the highly acclaimed Da Nang Beach Resort; one of the largest, most well regarded projects in Central Vietnam. The Da Nang Beach Resort comprises luxurious villas, high-end apartments, world-class golf courses, and many other premier facilities. The Cham Condominiums is your personal oasis, a luxurious residence that offers spectacular views of the azure ocean, along with an awe-inspiring vista of the Cham Islands. 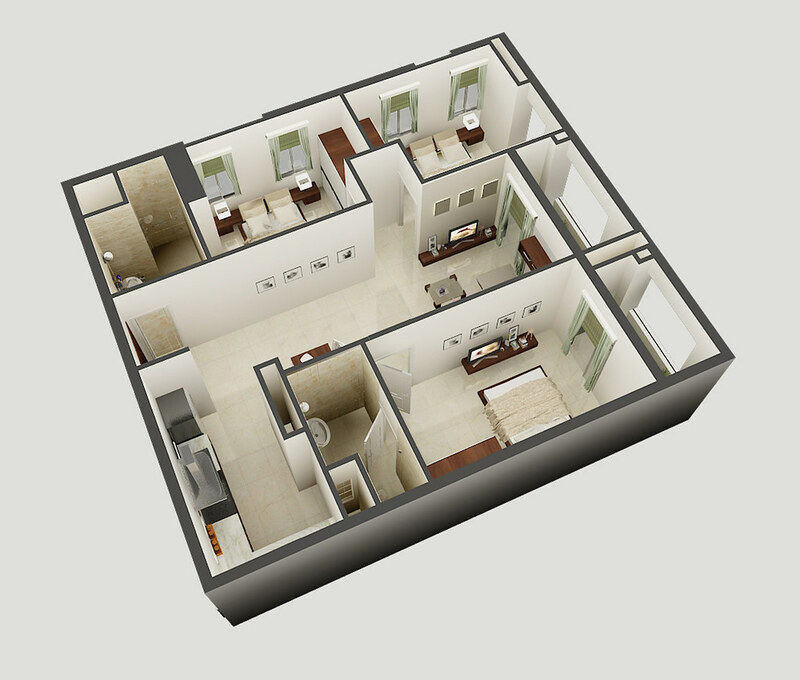 Experience a first-class lifestyle complete with modern amenities and a bespoke ambience. 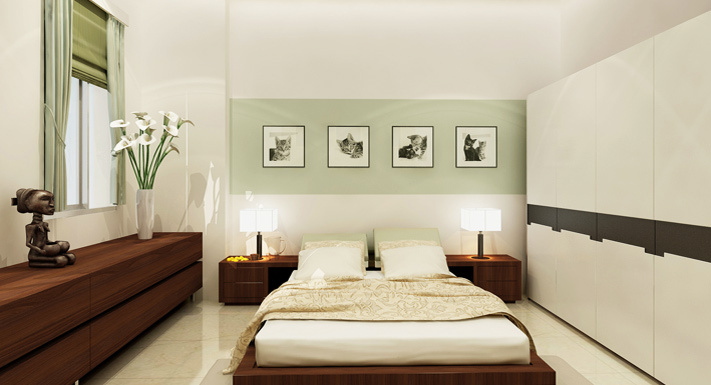 A Cham beachside condominium is not just a premier investment opportunity but also the perfect escape from the ordinary. 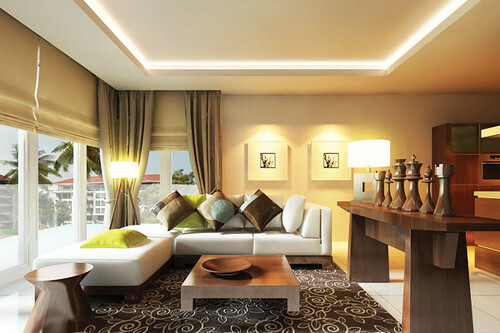 Live the extraordinary in peaceful luxury near the heart of Da Nang. 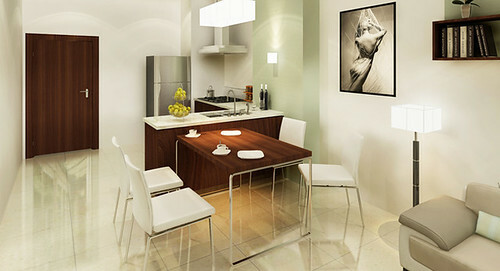 The Cham Condominium is a private, luxury lifestyle by the azure sea. World-renowned Thailand architectural firm, Hassell, designed The Cham with the intent of creating an indulgent retreat away from the hustle and bustle of daily life. Each bespoke residence affords endless ocean views set amongst a verdant backdrop of the Cham Islands. Experience and live the resort lifestyle, one that is more than just a sound investment, but your exclusive and enchanting enclave. 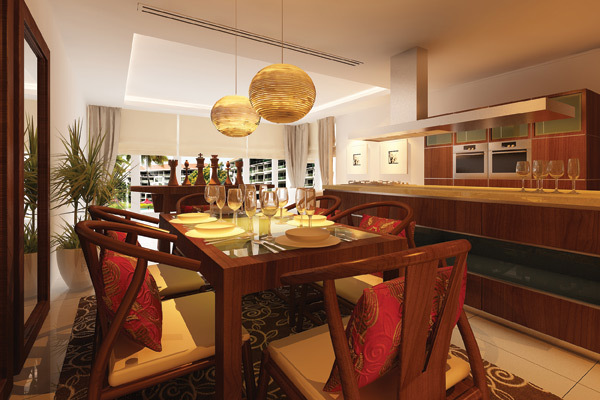 The Cham’s Beach Club, part of The Da Nang Beach Resort, offers an unparalleled retreat. Enjoy all the modern comforts that accompany such a five-star sanctuary. 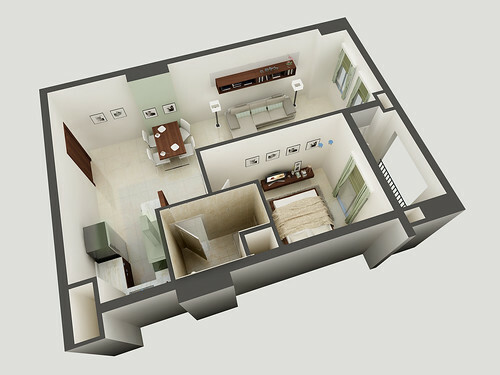 Whether you are relaxing in the spa, working out at the state-of-the-art fitness center, lounging poolside, playing an energizing game of tennis or BBQ-ing with your friends and family, you are certain to realize that this is the “home” you have been looking for… until now. The Beach Club is the ultimate destination with its tremendous resort-style amenities and services. The Da Nang Beach Resort has continually raised the bar on standards of resort excellence while maintaining the classic style and ambiance envisioned by its creators. The Resort’s two 18-hole Greg Norman designed golf courses are no exception. The two classic, par 72 courses’, call for a variety of shots and just about every club in your bag. Nestled in a seemingly botanical garden-like milieu, members can play their passion in paradise. Imagine teeing off alongside the golden shores of the South China Sea with the spectacular views of the Cham Islands on the horizon. When you play on any of the courses (The Dunes Course schedule for opening April 2010), you put in the near vicinity of Cham’s ancient temples and play on meticulously maintained fairways. Enjoy two authentic championship golf courses that challenge, inspire and reward players of every ability from weekend enthusiasts to the most recognized names in golf. 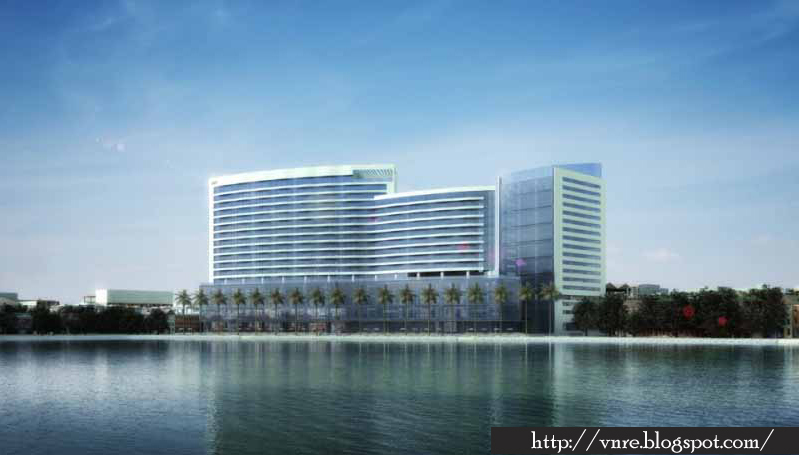 This project is a composition of two curved buildings; a subtle, delicate structure to obtain the best possible view of the lake without obstructing the grand view from the existing buildings in the area. From a distance, the creation will resemble an elegant ship with its two white sails. For this project, the nearby lake has been the dominant influence in the design process and is the base of the concept – integrating the sky with the water, making it a tranquil and luxurious place for individuals to interact. The entire complex embraces a sense of Zen ambience, featuring stylish, contemporary design with natural materials, which combine vegetation and water. The hotel will have 16 levels including 300 rooms, 50 serviced apartments, one large ballroom measuring 1050 m2 and a spa measuring 2000 m2 (both the largest in the city), and three restaurants, where at least one will be a top-of-the-line restaurant. 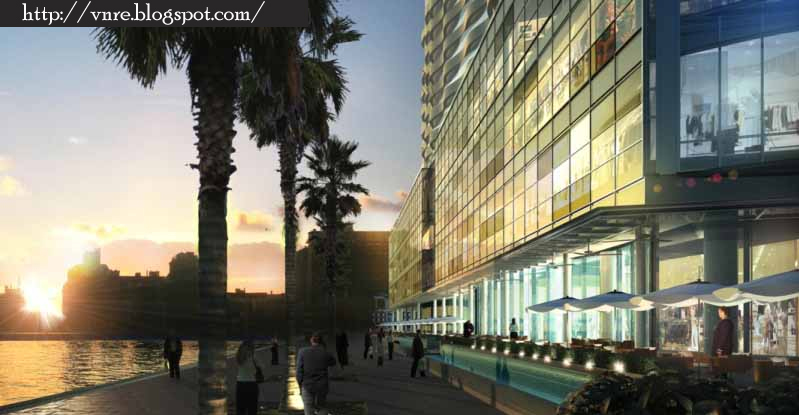 The office complex will include 18 levels over 20,000 m2 with international standard office spaces, and the shopping complex will include three levels over 12,000 m2 with a luxurious shopping area. This project will be a unique development, taking on a high-end style of architecture, in the heart of the city – a building that will invite you on an amazing voyage and make your visit unforgettable. 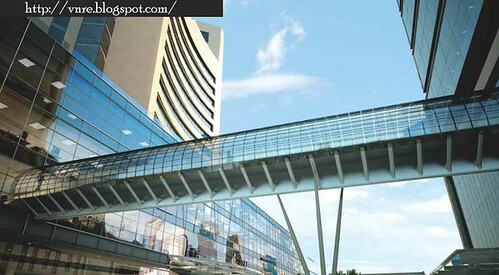 The project is anticipated to be completed by 2012. VNRE – Gamuda BHD is proposing to acquire a 60% stake in Vietnam-based property developer Sai Gon Thuong Tin Tan Thang Investment Real Estate Joint Stock Company (Tan Thang) for US$82.8 million (RM274.9 million) cash. In a statement on March 10, Gamuda said Tan Thang held the rights for the investment and development of an 825,216.5-sq metre parcel of land for the “Tan Thang residential, sports and educational complex at Son Ky Ward” in Ho Chi Minh City’s Tan Phu district. The expected gross development value (GDV) of the project is RM6 billion, with the residential portion comprising medium-end and premium apartments. The first sales launch is targeted for the second half of the year and last for the next seven years. “The project will enable Gamuda to strengthen its position in the property development industry in Vietnam,” said Gamuda of the rationale for the stake acquisition. Its wholly owned subsidiary Gamuda Land (HCMC) Sdn Bhd on March 10 entered into a share sale agreement with Sai Gon Thuong Tin Real Estate Joint Stock Company (Sacomreal) for the 60% stake in Tan Thang. Upon completion of the deal, Gamuda Land will hold 60% of Tan Thang, Sacomreal 30% while the remaining 10% will be held by Vietnamese individual Chau Kim Yen. According to the announcement, Sacomreal was previously involved in providing real estate services, but had branched into developing and marketing high quality apartments. 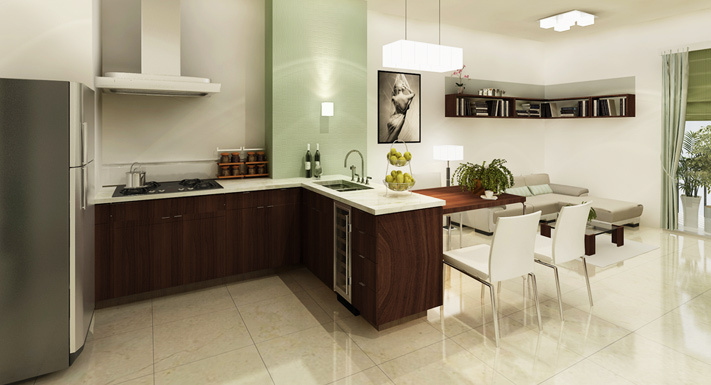 Among its projects are the Sao Mai Deluxe Apartment Building and The EverRich Business Centre, Apartment and Complex. Gamuda Land will fund the acquisition via a shareholders’ advance from Gamuda using internal funds and bank borrowings. This represents Gamuda’s second foray into Vietnam as a property developer. Currently, Gamuda’s presence in Vietnam is in Yen So Park in Hanoi. According to reports, Gamuda is due to launch that project in June this year and analysts have put its potential GDV at US$12 billion. “The first residential phase will comprise about 1,200 apartments and 1,000 landed units, with 300 units to be launched this year at around US$1,000 per sq metre (GDV of about RM100 million). “Management is also in advanced negotiations to bring in reputable partners for its commercial developments,” said Maybank Investment Bank Research in a report on March 10. Maybank is positive on Yen So Park despite investors’ bearish perception on Vietnam’s prospects due to poor macro fundamentals. “Our recent visit to the country suggests that local sentiment is significantly more optimistic, particularly on property. We believe higher interest rates are unlikely to significantly dampen demand, as over 80% of residential property purchases are transacted without any bank financing,” said Maybank. Maybank’s optimism on Yen So Park is based on the less competitive property market in Hanoi relative to Ho Chi Minh City. Going forward, the research house opined that there could be a potential secular shift in Gamuda’s earnings profile. “Longer term, Gamuda could become a proxy to Vietnam as the proportion of its Vietnam-derived earnings increases,” said Maybank. The research house also said while Gamuda was evaluating further opportunities in Vietnam, with the country’s twin deficits and impact of the dong, investors could be neutral on any incremental investment. Maybank has a buy on Gamuda with a target price of RM3.80. Gamuda closed unchanged at RM2.79 on March 10, with 8.8 million shares traded.